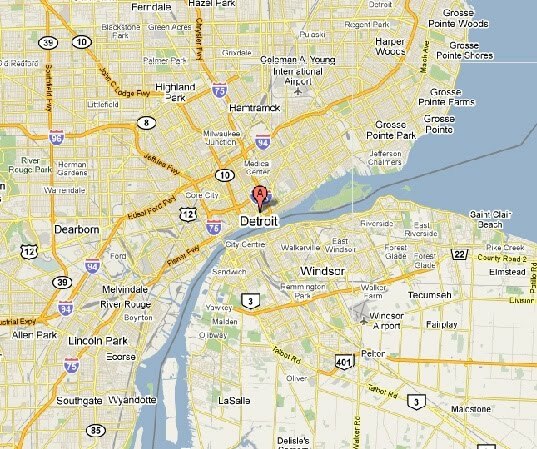 If you've been following the enthusiasm for urban farming then you've read about what's going on in Detroit. With an estimated 110,000 vacant lots, 1/3 of the city's 138 square miles, and no grocery stores in the downtown area, Detroit organizations are working to solve their own food insecurity issues. Here are a few of the organizations working to make healthy food a reality that piggy tails on Grist's excellent coverage of the city gone rural. No other city has contributed so much to American culture in the first half of the twentieth century as Detroit, and no other city has collapsed so entirely in the second half. Detroit embodies the entrepreneurial spirit of the United States as the birthing place of the automobile industry, and was home to scientific and cultural leaders such as Thomas Edison. Musicians have always thrived in the city as well. Perhaps it was the cold winters or the mundane work at the auto plants that busted out so many talented musicians. At the height of the “Big Three” – Ford, Chrysler and General Motors – it is said that at the end of the day, people poured out into the streets or to the numerous music venues of the city to dance. In the late ‘50s Motown Records was started by auto-industry worker, Berry Gordy, who produced some of the biggest names in R&B and Soul/Funk such as The Supremes, The Four Tops, The Temptations, Stevie Wonder, Aretha Franklin and others. Pop, rap, techno and rock musicians have continued to come out of Michigan and the Detroit music scene and have included such influencing names as Madonna, Iggy Pop, Bob Seger, George Clinton, Kid Rock and Eminem. Alongside the musical and cultural revolutions that happened in Detroit in the ‘50s, the exodus of the city had also begun; a trend that only accelerated in the past five years since the bankruptcy of the automobile industry. The last Census Bureau analysis showed that Detroit’s population decreased from its peak at just below 2 million in the ‘50s, to 900,000 residents. City officials estimate that by the time the next census is completed that the number will have dropped to 800,000 as people who can leave, do. That’s why the present Mayor, Mayor Bing, is proposing to “right-size” the city. 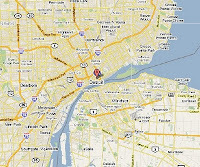 Detroit is sprawled out over 138 square miles (88,320 acres), with an estimated 40 square miles (25,600 acres), 29 percent or roughly 1/3, that has been abandoned. This represents a huge challenge to the city as basic service to various neighborhoods becomes costly in such low population densities. In August 2010, Mayor Bing announced the creation of “The Detroit Strategic Framework Plan” that will work to centralize, or “right-size”, the city, the people, and the resources over the next ten years. And tomorrow, I have the great fortune to travel to Detroit and to meet with some of the people making it happen, growing food old school style, to the funk of a different band. The Detroit Black Community Food Security Network (DBCFSN) "is a coalition of organizations and individuals working together to build food security in Detroit’s Black community by: 1) influencing public policy; 2) promoting urban agriculture; 3) encouraging co-operative buying; 4) promoting healthy eating habits; 5) facilitating mutual support and collective action among members; and 6) encouraging young people to pursue careers in agriculture, aquaculture, animal husbandry, bee-keeping and other food related fields. Since our inception, we have focused our energies in three main areas: urban agriculture, policy development and co-operative buying. A brief history of our efforts in each of these areas follows." "Earthworks is a program of the Capuchin Soup Kitchen, a human service organization of caring people inspired by the spirit of St. Francis and sponsored by the Capuchins of the Province of St. Joseph and concerned benefactors. Earthworks seeks to promote sustainable agricultural practices, nutrition and care for the Earth. We strive for peace, respect and harmony between Neighbor and Nature." "Each year The Garden Resource Program supports over 200 community, family and school gardens, all producing food for Detroit neighborhoods. Marketing opportunities are available for these community gardeners under the Grown in Detroit® brand at a GRP sponsored booth at Detroit's Eastern Market and mini-Farmer's Market's throughout the city. These gardens are currently producing around 100 tons of food each year, and the program is growing on an average of 20% annually." "The mission of the Eastern Market Corporation is to mobilize leadership and resources to achieve stakeholders vision for the Eastern Market District and make the Eastern Market the undisputed center for fresh and nutritious food in southeast Michigan."